The campsite is open from May to the end of September. 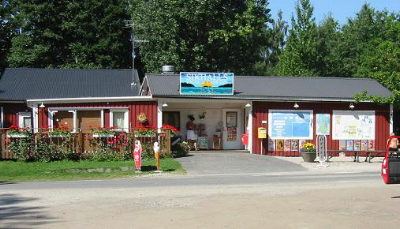 At the beginning Sikhalls Camping was a small kiosk located next to the popular beach, Sikhallsviken wich is regarded by many as the best around. Today Sikhalls Camping has become a much more sophisticated place and are now a restaurant, a bar and a mini market. Sikhalls Camping has troubadour evenings in the summer. 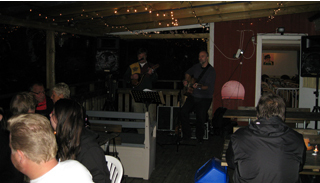 Those evenings are much appreciated and will offer lots of dance and song.